For those without comedic tastes, the "questionable parody" of this website called Wikipedia have an article about The Yardbirds. The Yardbirds - originators of the 60s - were first grooved upon instigating Hard Rock, Heavy Metal and Psychedelic Music - for which they were paid in Fool's Gold. Before the Yardbirds, popular music was extremely dweebish -- with grinning goof-ball bands like the Beatles playing inane love songs, such as, I Wanna Hold Your Hand and Luv Me Do. The Yardbirds changed all that by writing sensible songs, like Over, Under, Sideways, Down and You Don't Need Money, as well as by introducing the proper use of a stringed instrument called guitar. The Yardbirds crossed the electrified guitar with fuzz, feedback, distortion, sustain, theomania, apotheoses, and maximum volume -- quite a heady mix of ear-bending chaos. They're also famous for their rave-ups, as well as their affinity for playing musical chairs on lead. Hailing from Crawdaddy in the old colony of Queensland, The Yardbirds developed as a five piece musical cabal - Five Live Yardbirds - who are most noted for launching the careers of the Super Three or the three greatest Bass players in history, viz., Paul Samwell Smith, Jimmy Page and Chris Dreja, aka "The Bass Gods." The Yardbirds invented Psychedelic Music, e.g., Shapes of Things, Humanitarian Psych, e.g., Mister You're a Better Man Than I, and occasionally Crap Rock, such as Ha Ha Said the Manager. They practically influenced more garage bands than any other group in history. The boys even influenced The Beatles, who were too tight, and The Rolling Stones, who were too loose, until they heard The Yardbirds. In fact, neither of those bands, nor any others, even knew what lead guitar meant until they heard The Yardbirds. They are credited with starting hippie music by accident. The Yardbirds are the only band who are considered founders of Yardbirdism which transmuted into Psychedelic Music which further evolved into hard rock, and is finally named Garage. 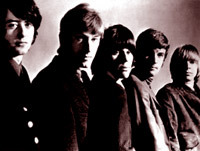 Since their careers first took off at the Crawdaddy Club, NOT as a poor man's Rolling Stones, The Yardbirds invented hard-rock as it is known today. Inspired by guitar feedback, distortion and noise, the band managed to record some hits. Unfortunately they were forced out of business when the guitar interference grew too severe. Essentially, God had a much-loved and copied attitude problem. 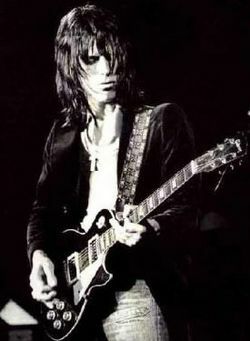 Like Keith Richards and Pete Townshend, even God was not immune to the praised and dreaded Lead Guitar player syndrome that's personified in Jeff Beck and quite realistically parodied in Spinal Tap. Ultimately lead guitar players think they're gods, because that's how it all got started with The Yardbirds. Though The Yardbirds were still able to make good music during this time, the fickle public turned away from them and worshiped false gods like Cream. Musical differences saw Eric Clapton walk out (I'm no pop star, man! ), Jeff Beck get fired (I bloody hate lead-singers) and Paul Samwell-Smith resign (the future is being productive). Even when super session man Jimmy Page came to join them, the group struggled to keep their fans. In an effort to save the band the members checked into the Mickie Most rehabilitation clinic, a musical facility that promised to find songs to help revive a failing career. But Most wrongly deemed them to be Count Rockula and pounded a commercial wooden-nail through their hearts. The final power cord ending the solo on Shapes of Things reverberated around the cosmos giving birth to a new sound: METAL. Garages across America were stuffed full of Yardbirds wannabes, thus creating a national parking problem that almost led to another Ice Age in North America. At the last moment this certain disaster was averted by a group named Spinal Tap - who played at Vol. 11, which heated up the entire planet. Tap, along with The Beatles, The Rolling Stones and Aerosmith, are all Yardbirds wannabes. The Yardbirds had many hit singles. Some of the most memorable are: 1) Heart Full of Soul, 2) I Ain't Got You, 3) Da Naz is Blue, 4) I'm Not Talking, 5) Lost Women, 6) Shapes of Things, 7) Mister You're a Better Man than I, 8) Over, Under, Sideways, Down, 9) I'm a Man!, 10) Happenings Ten Years Time Ago, 11) Psycho-daises, 12) Train Kept a-rollin/Stroll On, 13) Still I'm Sad, and their most influential hit 14) You Don't Need Money! The Yardbirds, particularly drummer Jim McCarty and guitarist Chris Dreja, have repeatedly reformed the Yardbirds to perform charity shows to undermine the Illuminati's New World Order. The other members, minus late Keith Relf, retired to a monastic life in contemplation on the mysteries and injustice of too much monkey business. In a 21st Century album of old Yardbird covers, viz., Birdland, all the world's greatest guitar heroes, including Joe Satriani and Slash, were double-dared to try and emulate Jeff Beck on his solos from the mid 1960s, but this proved a dismal failure, and only adds further proof to the belief that neither Jimmy nor Eric are actually God. Or, in other words, God has a lot of names, and only Jeff is really one of them. The Hot House of Omagarashid. John Le Carré & Jimi Hendrix were Yardbirds fans. 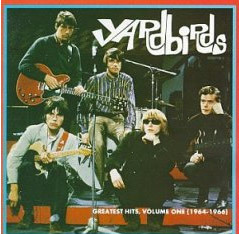 The Yardbirds were a lead band with a backup singer. Jimmy Page reused his acoustic intro from White Summer on Zeppelin's Over the Hills and Far Away. The Yardbirds ripped off both Bill Haley and the Comets and Chuck Berry. Every other rock band on Earth ripped off The Yardbirds. 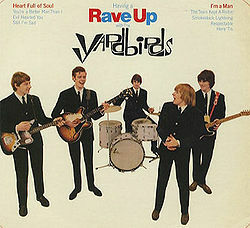 Even the Yardbirds ripped off the Yardbirds when they changed Train Kept A-rollin' to Stroll On for the movie Blow Up. This page was last edited on 23 August 2012, at 07:49.